MJA Cattle Scan provide cattle ultrasound pregnancy testing services. Repro Scan is a veterinary portable ultrasound company thats primary focus is ultrasound equipment for cattle reproduction. Repro Scan ultra sound units are suitable for cows, calfs, dairy herds and other species of cattle. Repro -Scan Australia Pty Ltd specialise in Veterinary Portable Ultrasound Technology Solutions. Repro -Scan Australia Pty Ltd for beef and dairy cattle reproduction. Elite Scan provide ultrasound scanning of cattle for pregnancy so you can maximise productivity and profitability. Chinchilla Veterinary Services are located in Chinchilla, Queensland and provide a range of veterinary services including bull and pregnancy testing, vaccinations, lameness examinations, pastoral and dental care, feedlot and nutrition consulting. 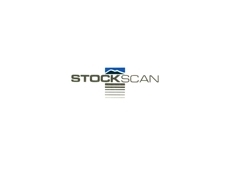 Scanstock offers cattle ultrasound pregnancy testing equipment and services, specialising in beef cattle. Scanstock's scanning equipment is accurate, less stressful on cows, uses latest technology and confirms AI pregnancies. 12/12/11 - Ultrasound scanning provides farmers with many benefits over more traditional manual palpitation methods of pregnancy testing. 01/07/09 - Pregnancy Scanning allows farmers to develop specific feeding regimes for multiple and single bearing ewes.